This ferocious nocturnal predator was found in suspended animation in an ancient abandoned laboratory. No records of its creation are known to exist, so its origins are shrouded in mystery. Since it was discovered, it has proven very difficult to reverse-engineer, even compared to other Rank A Kreatures. There are only a handful of specimens in existence, making it a valuable prize among Kreature Tamers. It’s stealthy as it is strong, blending into the night sky and empowering itself with lunar energy. 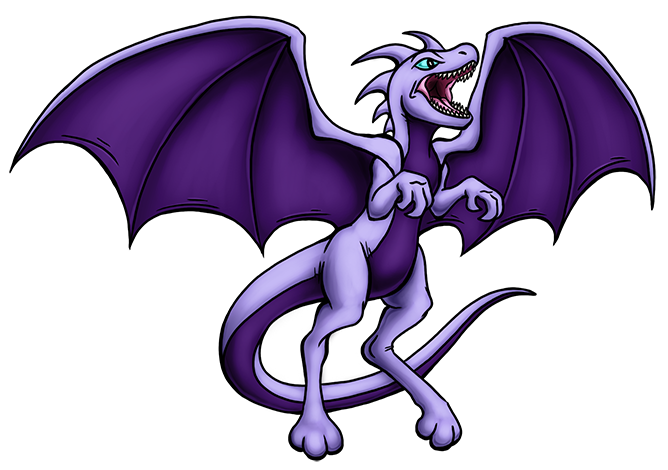 Seemingly aware of its overwhelming power, it has extremely keen fighting instincts and a self-assured, almost haughty demeanour. It will only mindlink with a Tamer who can earn its respect. In a lot of series, the high-tier monsters look more complicated and often cluttered than the more moderate ones. That’s one of my favorite things about zictroe – it’s essentially a lightweight theropod with bat wings and a night sky motif. And that’s prettymuch all it needs!